ON A recent Thursday afternoon Westminter Abbey welcomed in its usual horde of worshippers. Filling not just the quire, the section where the choir sings, but also much of the transept, they had convened—as ever—for Evensong, a service that has been sung in the abbey six days a week for almost four centuries. Westminster Abbey's devotees are not alone in their enthusiasm. According to a recent report by Cranmer Hall, a theological college, attendance at services in British cathedrals rose by 35% between 2000 and 2012, thanks mainly to an increase on weekdays. Weekday worship means Evensong, which has remained virtually unchanged since 1662, when the Church of England published a revised Book of Common Prayer that remains its official prayerbook to this day. Durham is one of the Church of England’s six most popular cathedrals, a group that has seen Evensong attendance increase even faster than the average. Indeed, they recorded a 34% rise between 2008 and 2012 alone. Westminster Abbey, which is not a cathedral but has a cathedral-like service schedule, has seen its attendance soar in similar fashion. Why a service that is over 300 years old should suddenly be attracting congregants is another question. Perhaps the meditative quality of the Magnificat and the rest of the liturgy holds special appeal to 21st-century listeners able to relax while the choir does most of the work. According to David Goodhew, the Director of Ministerial Practice at Cranmer Hall and one of the report’s authors, the cathedrals’ rising figures owe much to music. “Choirs are not the only engine of growth, but they're a key engine, " he explains. “Choirs have always been very important to why people attend cathedral services, and the music has always been of a very high standard. What has changed is that cathedrals are trying to connect with visitors.” Some cathedrals even tweet Evensong updates. In the past three decades, notes Andrew Reid, director of the Royal School of Church Music, an organisation that trains church musicians and choirs, “there’s been a real awakening when it comes to music in cathedrals. Music has a higher profile today than a generation ago, and cathedrals have made massive investments in their music programmes.” Several have launched separate girls’ choirs and most now have a vocal coach for the boy and girl choristers. According to the Cranmer Hall report, 75% of worshippers consider the choir important; 65% say the same about the sermon. Liturgical choirs of boys and adult men are not a British invention, but they have become a quintessentially British institution. In the sixth century, Pope Gregory I established the Schola Cantorum, a choir of men and boys that sang the liturgies, and by the time of the Renaissance many continental cathedrals had one. But from the time of the French Revolution, such choirs slowly disappeared. In France the government closed churches. And whereas several renowned liturgical boys’ choirs still exist in Germany, its Lutheran pietism led to the decline of the elaborate choral tradition known to Johann Sebastian Bach. 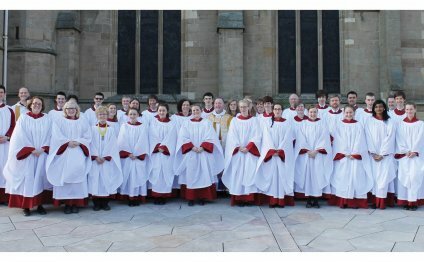 In contrast, practically every British cathedral, as well as several colleges at Oxford and Cambridge, offer daily choir-led services. According to Mr Reid, the country’s cathedral choirs “are a visible part of British pageantry and tradition, and one that reaches a global audience thanks to televised events”. British cathedrals, which unlike many of their European counterparts receive no taxpayer funding, have realised that their costly choral tradition is a major selling point. Westminster Abbey’s choir, which featured in a BBC documentary last year and sang at Nelson Mandela's memorial service this month, recently toured Hungary and Italy. Such exposure generates more visitors back in Britain.